When Rodney Dangerfield wasn't starring in movies and doing standup, he was being teleported into the life of a teenaged boy named Rodney, who pestered the iconic comedian for relationship advice. That's the baffling premise of "Where's Rodney? ", a sitcom that never made it past the pilot episode, for perhaps obvious reasons. But was "Where's Rodney?" better than it sounds. Could it be that it was... Canceled Too Soon? William Bibbiani and Witney Seibold take a deep dive into this embarrassing chapter of television history in the latest episode of the podcast! Perhaps if this series had continued it would have ended up kinda like Joan of Arcadia (and spoilers for anyone who didn't watch that nugget). We learn in the pilot episode that God appears to Joan but he's a different person every time. As the series progresses she goes through all the different possibilities like maybe it really is god. Maybe she's imagining things. Maybe someone's playing a joke on her. God tells her to do things and she does them with mixed results. Then by the end of the first season, turns out she has Lyme's Disease and so god has been fevered dreams or something from her sickness. Then at the start of season two the cliffhanger of "maybe Joan's gonna DIE OF LYME'S DISEASE" is downplayed in a way that made me lose interest in the series. I felt like the writers were just messing with me and they didn't really have an answer of why this was happening and they didn't care. 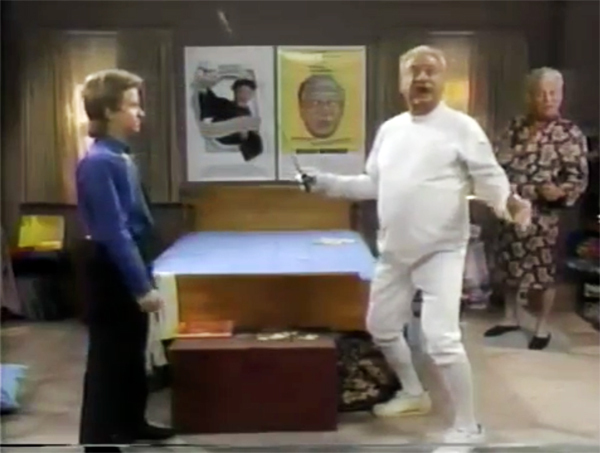 If Where's Rodney had continued, perhaps after the first season if the ratings were good, the writers would have explored various vague explanations of why Rodney Dangerfield is appearing to this kid, but they'd stretch it for as long as possible without ever actually answering that for certain until the final season. At which point they'd pin it down to whatever the majority of the audience didn't want. That's how LOST felt to me. Let's end the series exactly in a way that will piss off anybody still watching this long.